We are engaged in providing a wide range of Tile Adhesive to our customers. 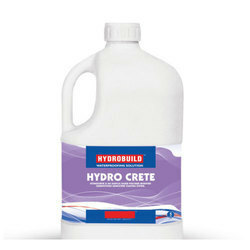 It is smooth and creamy thin-set adhesive for ceramic & vitrified wall and floor tiles in interior areas. The Ultimate 954 Platinum Thin Set Adhesive for external facade installation of ceramic tiles, vitrified tiles, heavy stones, quarry tiles, pavers and bricks. 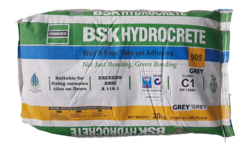 A high-performance thin-set adhesive to be mixed with water or latex for installing medium & large format ceramic tiles, vitrified tiles, marble and stone on floors and walls. Our organization is renowned as one of the most popular enterprises in this industry, offering a wide gamut of Epoxy Tile Adhesive. This Epoxy Tile Adhesive offered by us are available in customized options as per variegated needs of our clients. 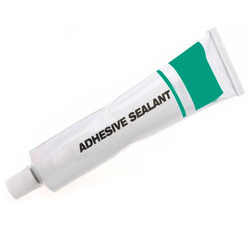 These Epoxy Tile Adhesives are manufactured using the topmost grade. 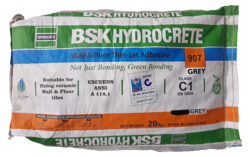 Grey 905 Tile Adhesive is a quartz-based tile adhesive, that has excellent results for high resistance laying of ceramic tiles on the floor, walls on cement based substrates.